Generation Transformation (GT) applications are now available for 2015 young adult mission opportunities. Generation Transformation is an initiative of the United Methodist General Board of Global Ministries offering service opportunities for young adults ages 18-30. With three different mission tracks to choose from, GT offers a program to fit the mission desires of all who wish to serve. “Generation Transformation is for all who are willing to go, and ready to respond to God’s call,” says Rachel deBos, a Mission Interpreter for Global Ministries. Generation Transformation is a movement of young adults using their faith to address injustice and work for systemic change around the world. It is often said that United Methodist missionaries go “from everywhere to everywhere,” making GT truly a global initiative. 2. Global Justice Volunteers is a short-term service opportunity for young adults ages 18-30. Small teams of volunteers spend 10 weeks during June, July and August exploring the links between faith and social justice. They work with grassroots organizations around the world. 3. Individual Volunteers offer individuals and couples the flexibility to volunteer for a period of two months to two years. 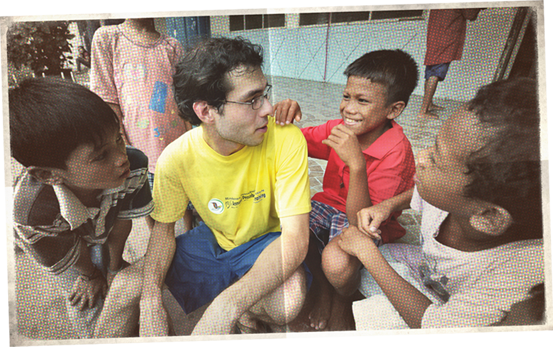 Volunteers serve at placement sites all over the world, including the United States. Every effort is made to accommodate placement preferences. Generation Transformation is changing the world one young adult missionary at a time. 2015 service applications are now available. The priority date for submission is Oct. 15. If you’re a young adult committed to working for justice through faith, or know someone who is, you’re encouraged to apply now and share these opportunities throughout your network! These programs develop strong young leaders who are committed to building just communities and a peaceful world. Learn more about Generation Transformation at www.umcmission.org/GT or email gmfellows@umcmission.org. Follow @umcmissionGT on Twitter for program updates. Please keep these young adults in prayer along with the communities they will serve. Financial support can be made through Advance #13105Z. Media contact: Melissa Hinnen, Director of Content & Public Information, mhinnen@umcmission.org.